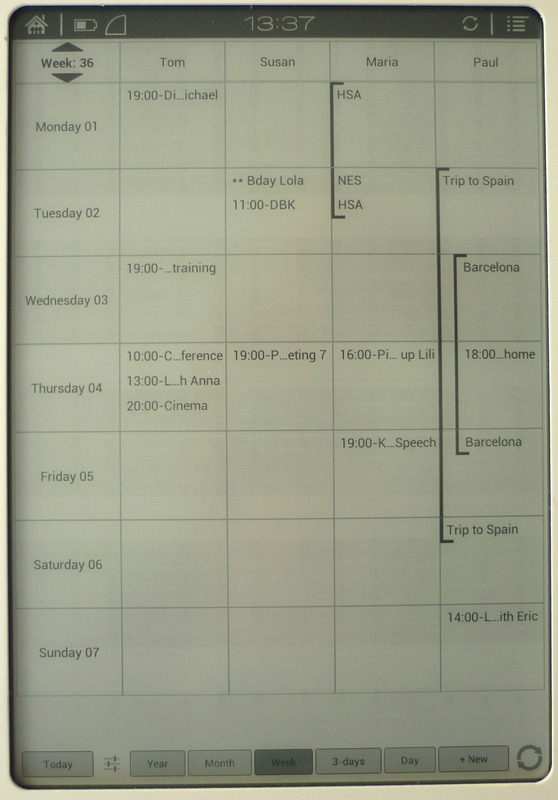 The Calou masters a number of different calendar presentations in order to always provide an optimal overview of things. There’s a task bar on the lower edge of the screen for switching between options. 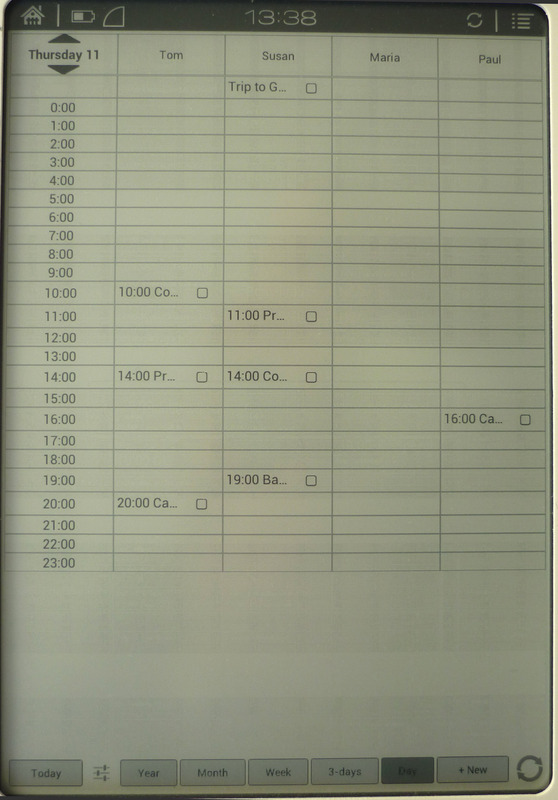 In addition, you can always directly press on the date of a day or on the week number in order to directly switch to the desired period of time or date. Watch our video in which we thoroughly introduce the Calou and its functions. 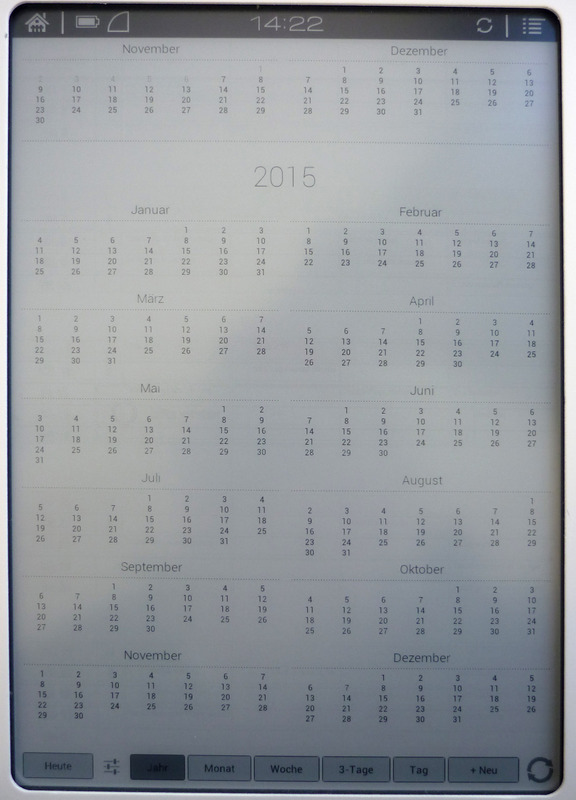 The most typical function of the Calou is the monthly view presented in a column format with the complete overview of all dates, appointments, and users on one side. By clicking on the name above the column, you can push the columns together to get more space and a better overview. As such, you can ‘hide’ all columns except for one to get a better sole overview of whatever it is you’d like to focus on. One more click back and the columns open up again. 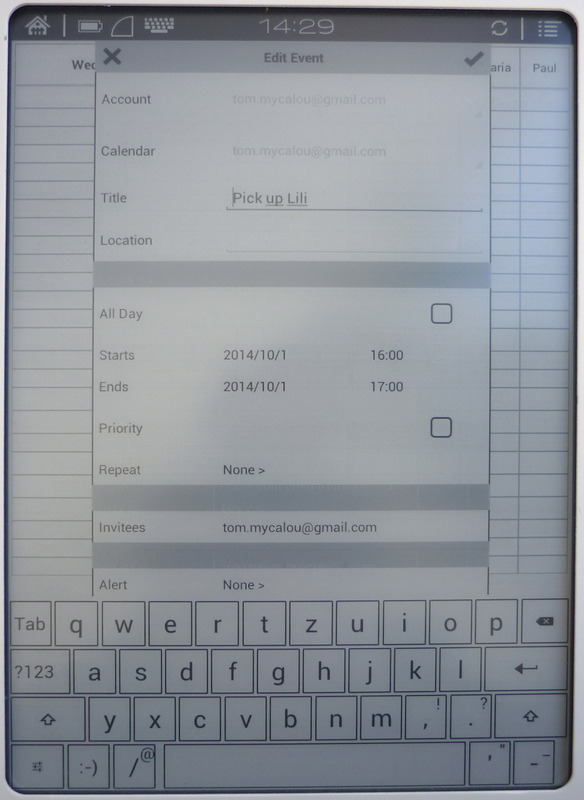 By clicking on a cell in a calendar column, you directly receive a short overview of the selected day without switching over to the daily view. In order to switch back and forth between the various viewpoints and appointments as quickly as possible, you can always click directly on one day or one calendar week. 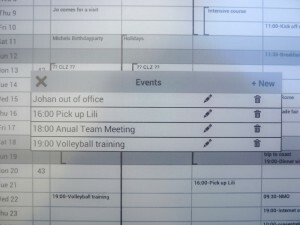 Then you switch the presentation directly to the daily or weekly overview. 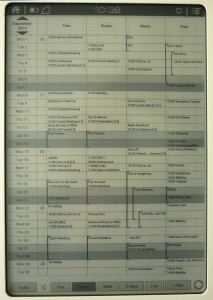 If you want an overview of the current week, you switch to the weekly overview. 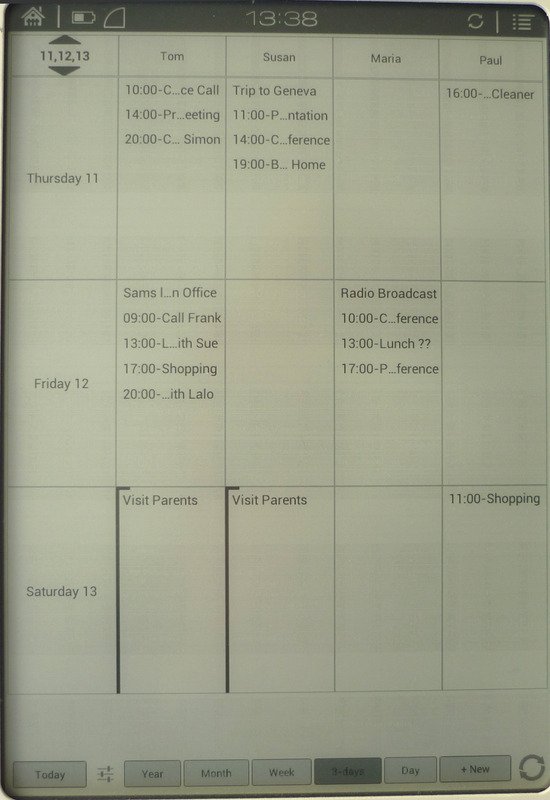 For even more details, you can call up the following three days entirely onto the screen. 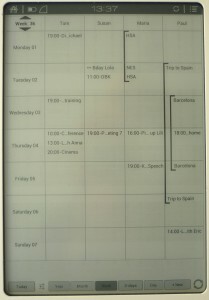 An entire day in overview. 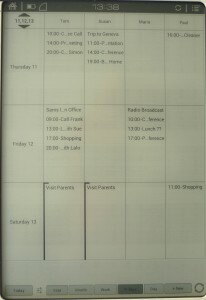 The first line lists all of the full day dates. A specialty feature of the Calou is the priority function. 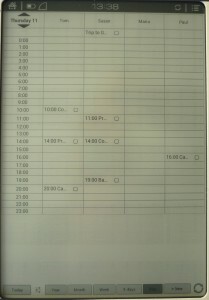 In the monthly overview, two dates per day are displayed together with a symbol which indicates how many additional dates or appointments are left in a day. With the priority selection box in the daily view section and in the new appointment dialogue, you can determine which two appointments should directly receive priority and “stand ahead” in the monthly viewpoint. 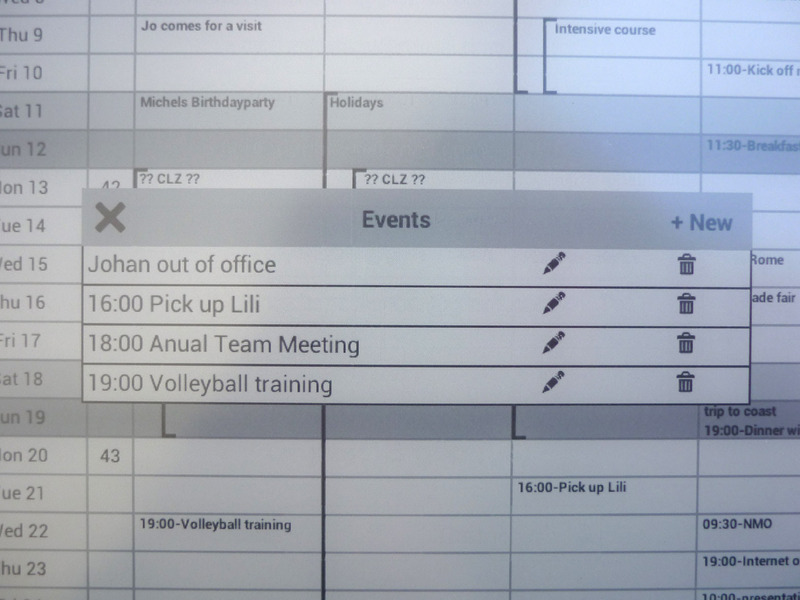 A new date can be directly entered in the Calou by clicking on a daily box or on the New key in the task bar. 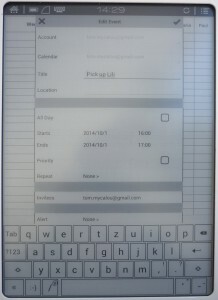 Very recognizable in the picture is the priority selection box (see above), which is used to determine whether the date/appointment should be presented directly in the monthly view. 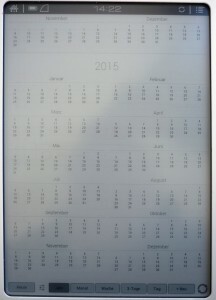 In order to be able to jump quickly between far removed time intervals, there’s the yearly overview. 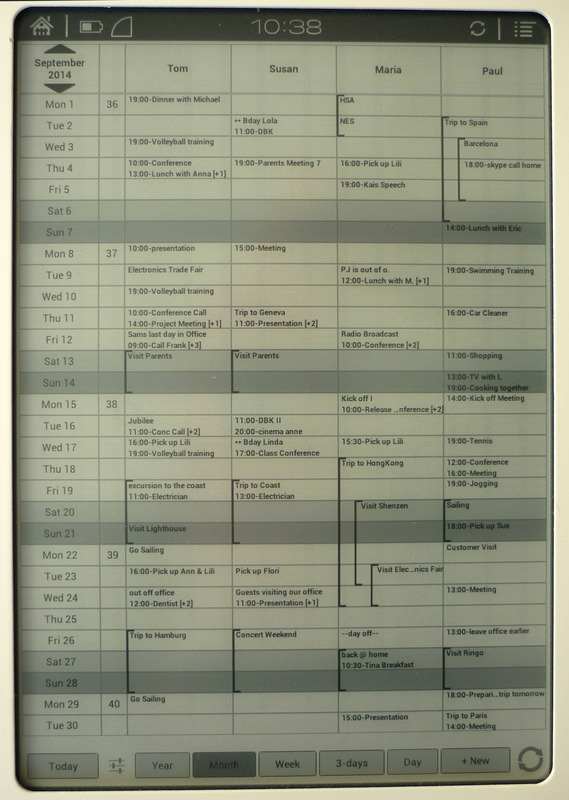 Here you can directly click on a day, a calendar week or a month and the display jumps to the selected point in time.